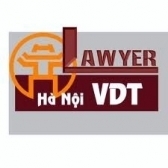 This Circular applies to Vietnamese and foreign organizations and individuals involved in the grant and withdrawal of certificates of insurance or financial security of civil liability for bunker oil pollution damage under the Bunker Convention 2001. 1. Certificates of insurance or financial security of civil liability for bunker oil pollution damage (below referred to as certificates) shall be granted by the national ship registry or regional ship registries (below referred to as ship registries )specified in Article 10 of this Circular to attest that insurance or other financial security is in force and complies with the requirements provided in Article 7 of the Bunker Convention 2001. 2. The validity duration of a certificate corresponds to the validity duration of the insurance policy or financial security certificate granted to the ship. 3. A certificate shall be granted in 1 (one) original to the ship owner and 1 (one) copy to be kept at the ship registry. 1. Vietnamese ships with a gross tonnage of over 1,000 GT operating on international routes. 2. Vietnamese ships with a gross tonnage of over 1.000 GT operating on domestic routes. Foreign ships with a gross tonnage of over 1.000 GT may be granted certificates at ship owners’ request. The ships specified in Article 4 of this Circular have insurance policy or financial security of civil liability for bunker oil pollution damage under the Bunker Convention 2001.
b/ Ship registries shall receive dossiers directly from ship owners or by post. b/ In case of submission by post: The ship registry shall check the dossier under regulations and record it in the dossier book with the date indicated in the postmark. The date of recording in the dossier book is the basis for determining the date of granting a certificate under regulations; c/ For an invalid dossier: In case of direct submission by the ship owner, the ship registry shall guide the ship owner in completing the dossier under regulations. In case of submission by post, within 2 (two) working days after receiving the dossier, the ship registry shall send to the ship owner a written request for supplementation and completion of the dossier: d/ For an ineligible dossier under regulations, within 3 (three) working days after receiving a dossier, the ship registry shall issue a written reply clearly stating the reason. 1. Within 3 (three) working days after receiving a complete dossier under regulations, a ship registry shall grant a certificate made according to the form provided in Appendix II to this Circular (not printed herein). 2. A ship owner may receive the certificate directly at a ship registry or by post. 3. The certificate application dossier contains untruthful information or deliberately modified or tampered documents. The certificate fee complies with the Ministry of Finance’s regulations and shall be paid at a ship registry before receipt of the certificate. 1. The Vietnam Maritime Administration shall assume the prime responsibility for, and coordinate with concerned agencies in. organizing the implementation of this Circular. 2. Ship owners and concerned organizations and persons shall implement this Circular and the Bunker Convention 2001. The Chief of the Office, the Chief Inspector and directors of departments of the Ministry. the director of the Vietnam Maritime Administration, directors of Maritime Sub-Departments, the director of the Maritime Administration of Da Nang, heads of concerned agencies and organizations and concerned persons shall implement this Circular.